Whether you are patient of or a student of Chiropractic, the Gonstead System of Chiropractic epitomizes the definition and the hands-on approach to real Chiropractic care. 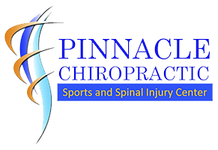 Gonstead Chiropractic has a single definition of purpose; locating and correcting vertebral subluxations for the improvement of nerve function. The brain and the nervous system control every muscle and organ in the body. In fact every single cell in your body is controlled and monitored by your nervous system and the slightest interference to this communication can cause health problems and pain. The Gonstead Chiropractor utilizes his unique and refined art of skeletal analysis to detect any harmful misalignments and then specifically corrects the misalignment, thereby restoring proper nerve function and health. When proper nerve function is restored, pain disappears, headaches are gone, stomach and intestinal problems are healed and maximum health is achieved. Gonstead Chiropractors will tell you immediately if your health situation is a Chiropractic case. If interference to your nervous system is found, correction of the misaligned bone with a gentle hands-on approach, the trademark of the Gonstead practitioner, will be performed. By specifically correcting only the bones that have misaligned, Gonstead Chiropractors use a safe and biomechanically accurate approach. This is what sets Gonstead apart from all other Chiropractic approaches. Many years of intensive study and practice are required to accomplish and master the Gonstead technique of adjusting. However, when the art of the Gonstead adjustment is correctly applied, prompt and predictable results ensue. Gonstead Chiropractic - There is no substitute when you want the best and most time-tested Chiropractic care available today.